Do you absolutely hate when your hands feel dry and flaky after washing dishes? Stop using harmful dish cleaning products and switch to Fairy Liquid. Your hands will soon start feeling softer and smoother after every wash! You can trust Fairy dishwashing liquid to be there to help you through any greasy situation and get your dishes squeaky clean. Each bottle is produced with a concentrated formula that provides long-lasting cleaning power and is 100 percent effective in removing oil and grease. Fairy is produced by leading consumer goods manufacturer Procter & Gamble, which is behind some of the most trusted brands in the world. 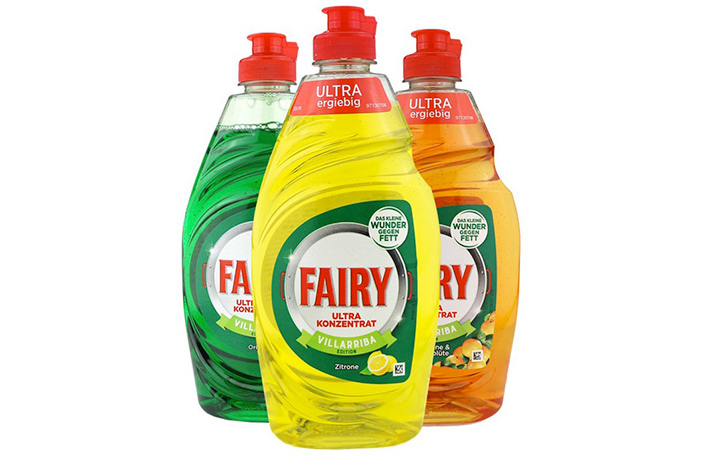 Save big when you order Fairy dishwashing liquid right now on thMart. From now through November 11, you can purchase their products for up to 27 percent off as part of thMart's Double 11 promotions! Their dishwashing liquids are available in a variety of colors and scents on thMart. Extra affordable chocolates, wine and more. If you struggle to find your bra size in Chinese stores, we've got you covered. Put your best face forward with these Ellegirl beauty items. Because who doesn't love fresh flowers? Women's Day Deals: Save ¥38 on These Reusable Coffee Cups! Say goodbye to disposable beverage containers for good with these eco-friendly cups, on sale now. These cold-brewed drinks combine what British people love the most: tea and alcohol.